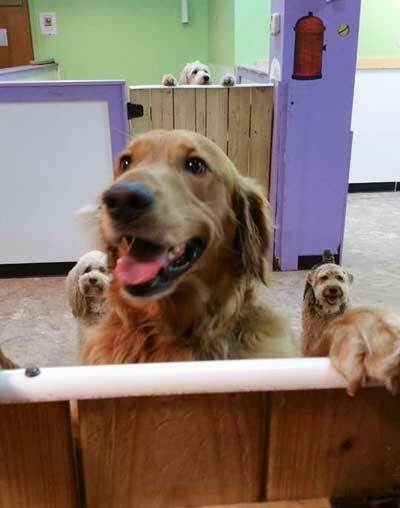 A North Carolina woman’s dog just might like going to doggy daycare a little too much. 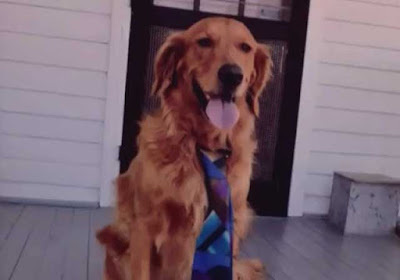 Riley, a five-year-old golden retriever from Belmont, North Carolina carefully plotted his escape late last week. His owner, Tonia, said she took him for a drive that went past the doggy daycare before going home. “And of course he kind of whimpered a little bit,” Tonia said. After getting home, Tonia left Riley alone in the back yard. “I gave him a treat when he was sitting on the deck and I said ‘okay buddy I’ll be back after a while. '” Riley then made his escape. He made it out of the back yard, then walked more than a mile to the Happy Dog Café. He patiently waited outside the door until someone walked in and told the owner that a dog was waiting outside. Riley then ran straight back to the daycare room where his dog friends were happy to see him. Since the adventure, Riley’s owners put an extra lock on the gate and promised to take him to daycare a little more often.